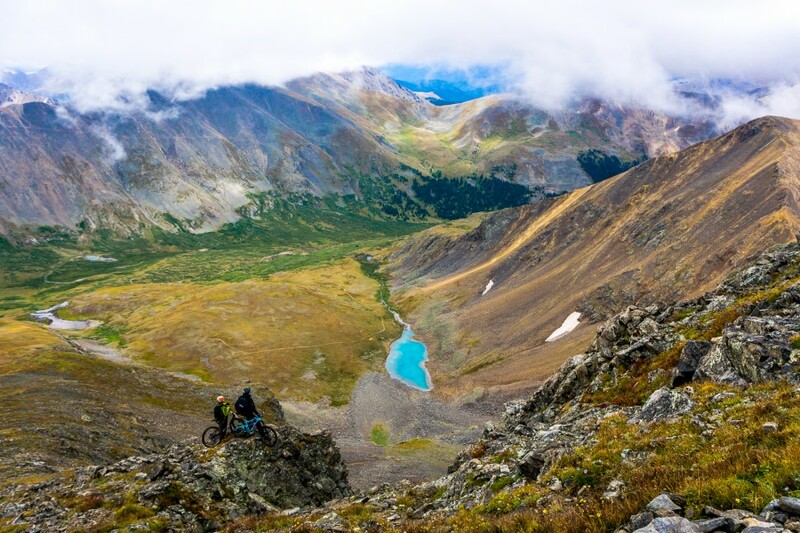 Peru Creek, Colorado – We froze ourselves on this unconventional route of Greys and Torreys. We woke up before sunrise and ascended into a thick fog that swallowed both peaks. Eventually, after about 6 hours in the dense, dark, low cloud, we emerged to this spectacular view. It was hard days work and technical riding, but there’s always something dramatic and fun about moving through weather in the mountains.